Let’s get it out in the open. Second to my fabric obsession, I love music. This week I have made a few new purchases from Amazon – God bless downloads! I have christened my latest two projects with Muse song titles, partly because they fit so well, and partly because all the 71 Musesongs iTunes says I have, have been on shuffle continuously for the last 2 days! So without further ado, I present “Supermassive Black Hole”… Ok, there was no way that Liberty silk was going to disappear into my fabric cupboard. Who knows when it would have seen the light of day again? I got the fabric washed and ironed by Monday evening, then waded through my Burdas to choose a pattern. It wasn’t hard really, top no 138 from August 2011 was the one. I’ve used the pattern before, and it was perfect for the silk. Next, “Absolution”. I beg absolution for my fabric buying sins! I do hope that by not letting either of these peices languish in the fabric cupboard, that I have managed to obtain just a little bit. 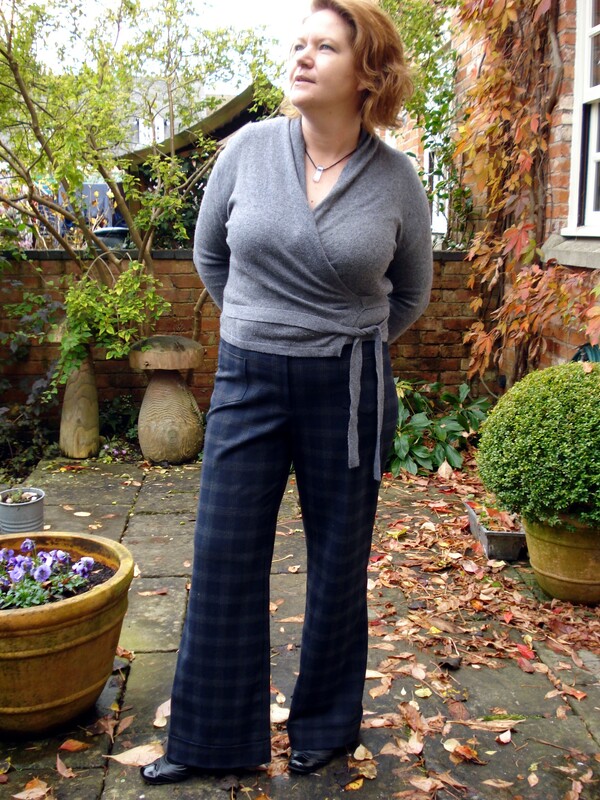 The pattern for the trousers was another well used and loved Burda pattern, no 118 from April 2009. If you see the pic in the magazine, you will see what the wow factor is. The wide bootcut legs, topped off – or is that ended off, with a deep turn-up. Devine! And all those plaid stripes meet up – even on the pockets! 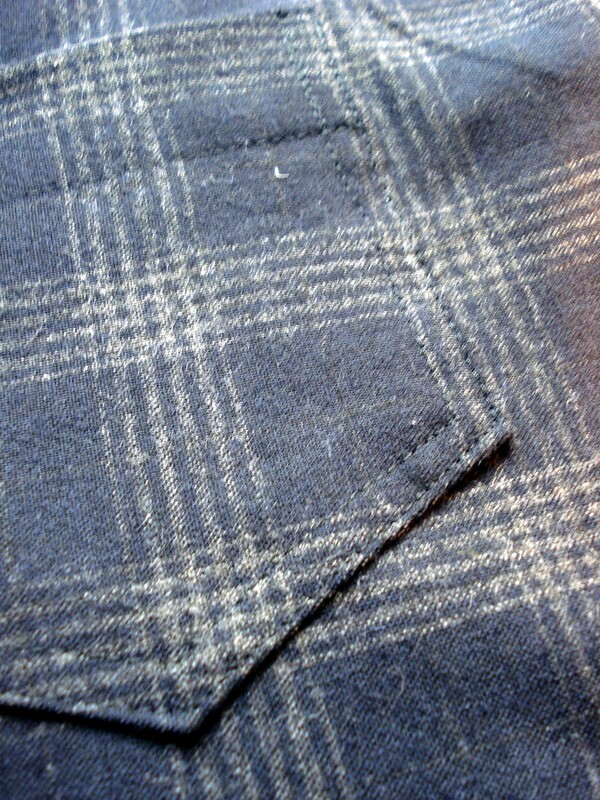 Snappy pockets, plaid lining up. These projects with details and more pictures can be found in my Burdastyle studio. So, I’m a happy bunny! Just need to finish the hand stitching on the blue silk devore and that’s another project finished! YAY!! I just love the looks you’ve created. Those pants are perfect in every respect. I bought some Liberty silk in London in January that has been sitting in my ‘too special to muck it up’ pile. I’d been thinking of using the same pattern – hope you don’t mind if I do. 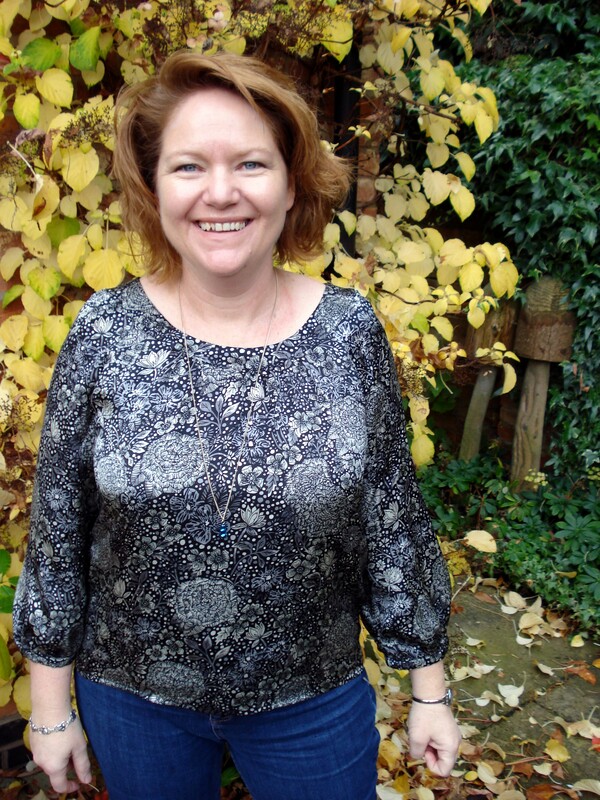 ooooo….. Liberty silk! I’m drooling thinking about it! It looks sooo pretty! And I’m seriously impressed with your trousers. Your work is sooooo professional, Anne. I haven’t attempted trousers yet but to do them in plaid and match the checks is just incredible! I love that Liberty print so much too. Good idea to make as soon as you buy the fabric. The good stuff and its intended use gets way lost in the list and the piles otherwise! Thanks Janene! I’m not quite sure why people get in a tizzy regarding trousers. the making is easy – it’s like everything else, all in the fitting! Now that I seem to be on a bit of a roll I need to keep sewing! What gorgeous fabric! You picked the perfect pattern to show it off. I’m loving the trousers too. Wish I was that accurate. Thanks Catherine! It’s all in the layout, as long as you take time with pattern placement it all works out! Thanks! I know that if I took my time here, the fabrics would scurry into the deep dark hole and not be seen again for a couple of months. Quick action was definitely required!